E-lab is an educational aid for high school students to follow science experiment tutorials in a fun and engaging manner, and comes at a time of increased interest and focus on STEM education in Cambodia. 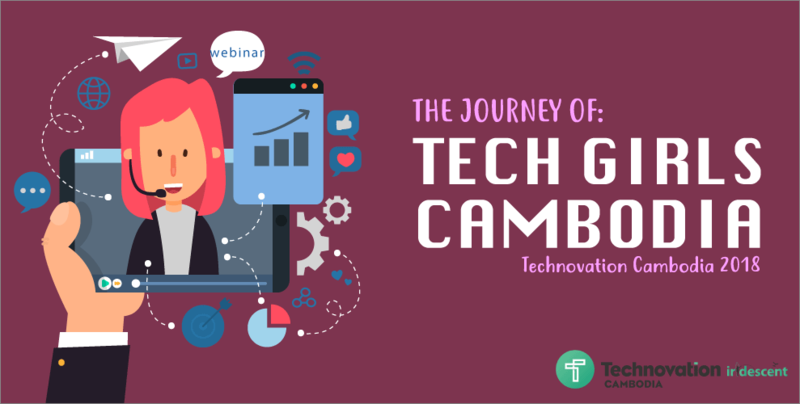 Tech Girls Cambodia shared with us their 12-week journey at Technovation, their future plans and some challenges they have faced while developing the app. 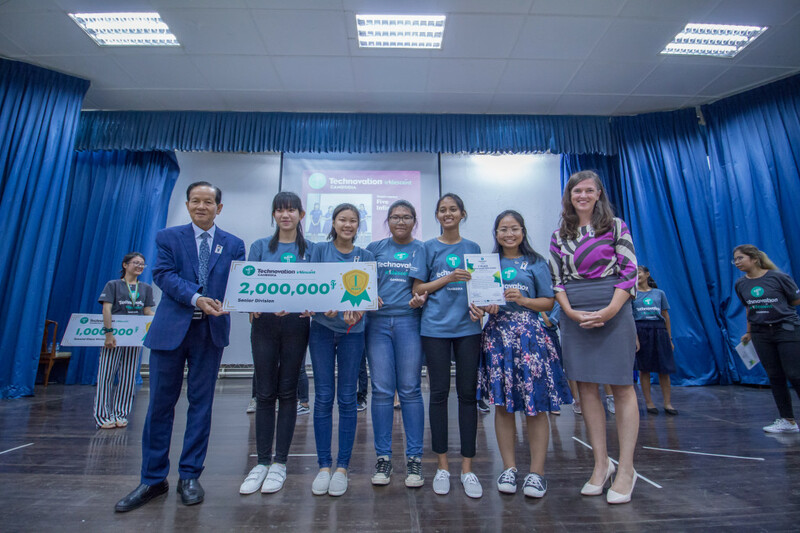 Congratulations for your Technovation Cambodia 2018 success ! How do you feel about being the 1st place National Grand Prize Winner from the Senior Division? Tech Girls Cambodia (TGC): Thank you! We were absolutely delighted to win the 1st place in the National Pitch. Everyone could hear our screams when we were announced as winners. To be honest, we did not expect to win the grand prize at all. We had our minds set on our work and learning new skills that will help solve problems we faced in our society. How was the experience like during the 12-week intensive program? TGC: We were really passionate in our work, we set goals and completed the goals. Some days, we had to stay till midnight to complete the coding and the business plan. The five of us really gave our all. The evening before the National Pitch, we even conducted a group call just to ensure that everyone was comfortable with their speeches. Honestly, the 12 week intensive program flew by us without knowing it. How did your team cope with schoolwork and the program happening concurrently? TGC: For us, the key to success is setting goals and sticking to them. We did a lot of planning beforehand – we did not rush our work and we did not procrastinate much. Some of us are in grade 12 which can be intense, however we did not let that be our obstacle but rather our strength; seeing the amount of work to be completed, it made us more focused and motivated in finishing everything. Since our schedules rarely matched and we had minimal time, we decided to complete whatever task we had on hand. What inspired your team to come up with the E-Lab app? TGC: E-Lab stands for Electronic Lab. This app started because in public schools, we are not fortunate enough to have science labs, much less experimental equipment. Many students are interested in science and experimenting but unfortunately, our schools do not have the resources to do so. Hence, to eliminate the need of real labs, we decided to come up with a solution that enables users to practice doing science experiments by watching available videos. That was how E-Lab was created. How have the skills taught in the Technovation programme shaped E-Lab to what it is now? TGC: We were taught a lot things – coding, writing a business plan, ideation, pitching, filming videos and much more. We had help from our inspiring mentors and were especially motivated in ideating solutions that solve current societal problems. Without any of these process, E-Lab wouldn’t be the application it is right now. What were some challenges faced as a group and how did you overcome them together? TGC: The biggest obstacle would be our tight schedules as we have said, as most of us are in grade 12. There were days where we were supposed to be reviewing our lessons for our upcoming examinations but instead we were more focused on coding and perfecting our business plan. What is your biggest takeaway from Technovation Cambodia 2018? 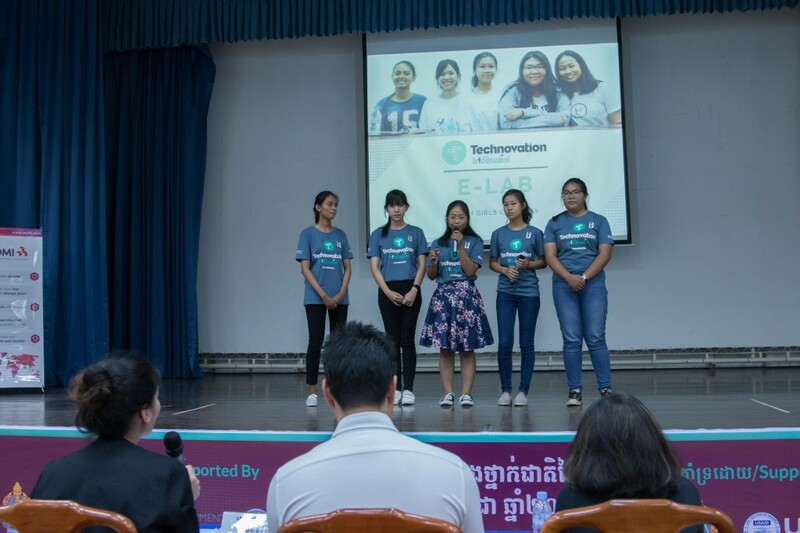 TGC: We are really thankful to Technovation Cambodia for giving us an opportunity to express ourselves and be able to lend a hand in solving our community’s problems. We have acquired valuable skills that would definitely last us a lifetime. Most importantly, we have not only became braver people, but also managed to work together as a team in harmony without much argument. Do you have any future plans to improve E-Lab? TGC: Yes, in the future we plan to add more content and also allow users to switch from English to Khmer language. Some plans would be adding shop recommendations for users to order experimental materials and also create guidelines to ensure experiments are carried out in a safe manner. What are your future plans as a team? TGC: We are working on developing our E-Lab together and hope that as a team, our app will run successfully. It is a never-ending process for us. E-Lab is very dear to our hearts and we are doing everything we can to make it work. Do you have any words of encouragement to give to aspiring female innovators? TGC: All we want to say to girls our age is to be confident and trust yourself. Don’t be afraid to try, be afraid not to try. We urge every girl to not underestimate themselves, because it is never too late to learn. Girls are no less able than boys – if boys can do it then we can too. We recommend high school students join Technovation and start a new journey discovering yourself and help our society. Start from yourself and be the change. Tech Girls Cambodia is definitely a group filled with passion and drive. From everyone at Geeks in Cambodia, we would like to wish you all the best as you embark on greater endeavours with E-Lab. 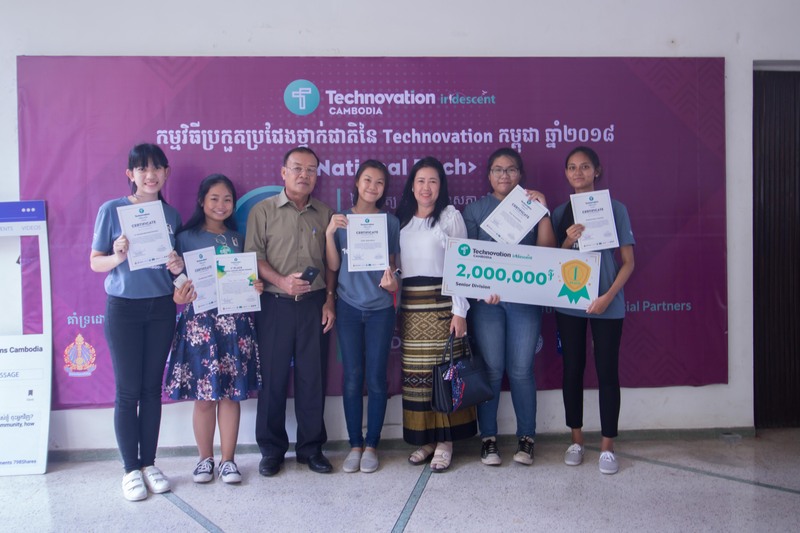 Stay tuned to Geeks in Cambodia as we bring you on three more instalments on Technovation winners, and read more about the four winners here!